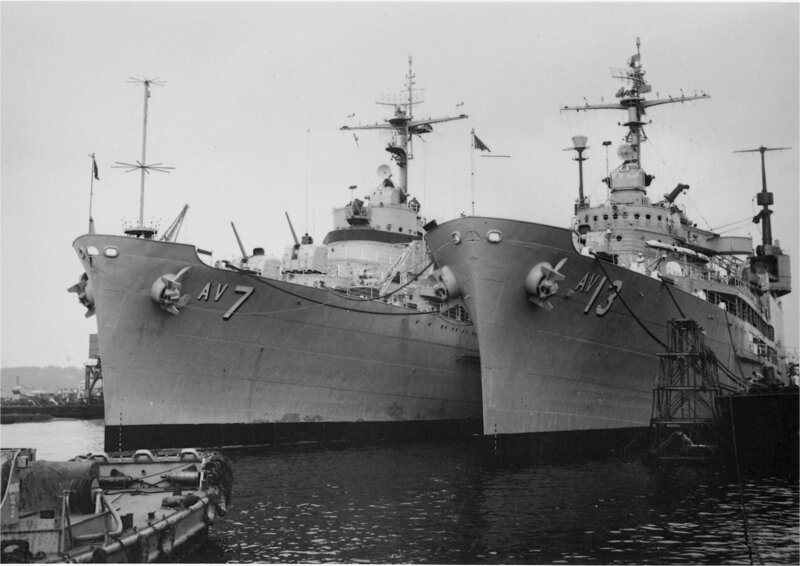 Transferred to the Maritime Administration, 3 July 1968, for lay up in the National Defense Reserve Fleet, Olympia WA. 52k USS Salisbury Sound (AV-13) at anchor, date and location unknown. 94k USS Salisbury Sound (AV-13) conducting seaplane operational test training off Alameda, California, 8 July 1953. The aircraft is a P5M Marlin flying boat. 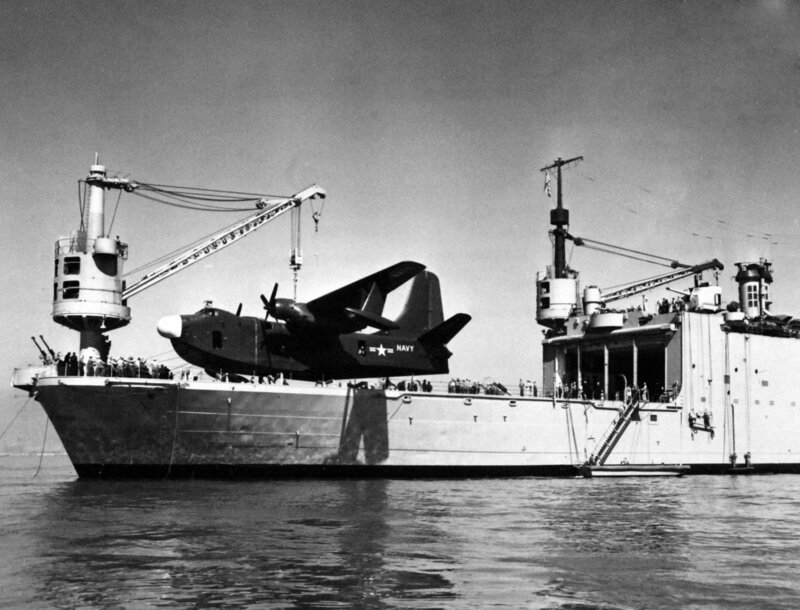 705k A P5M-1 belonging to Patrol Squadron (VP-48) is suspended from USS Salisbury Sound (AV-13)'s stern crane while the ship is at anchor in San Diego Bay, circa 1957. 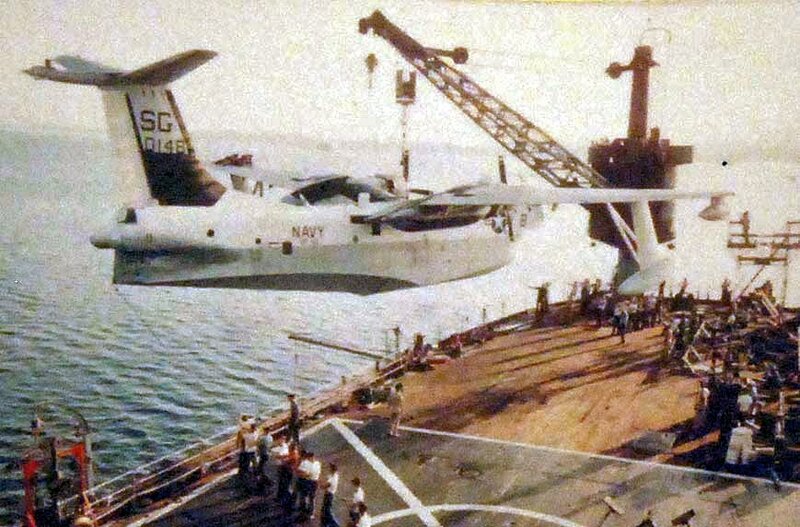 USN 626603 311k A P5M is hoisted from the deck of USS Salisbury Sound (AV-13) by the ship's deck crane, 8 July 1953. 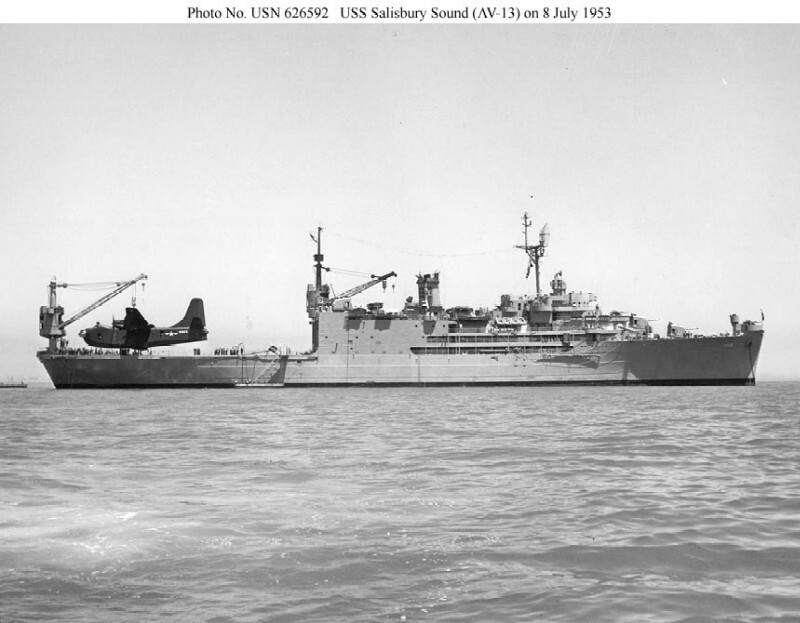 Salisbury Sound was serving with the Seventh Fleet during this time. 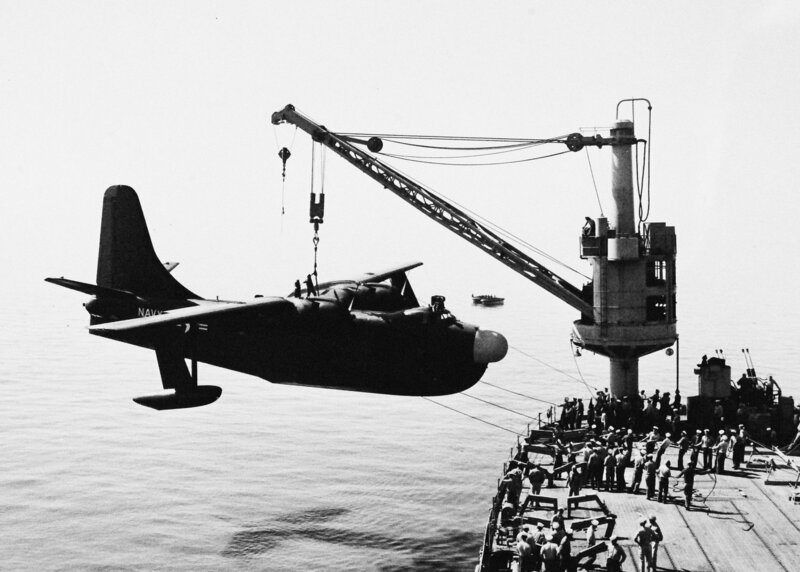 283k A P5M crew prepares to cast off the deck crane�s hook and cables from USS Salisbury Sound (AV-13), 8 July . 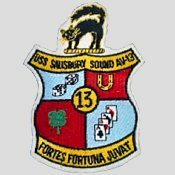 <>Salisbury Sound was serving with the Seventh Fleet during this time. 291k While a boat from USS Salisbury Sound (AV-13) disengages the remaining guide lines, the crew of the P5M prepares to take off, 8 July 1953. 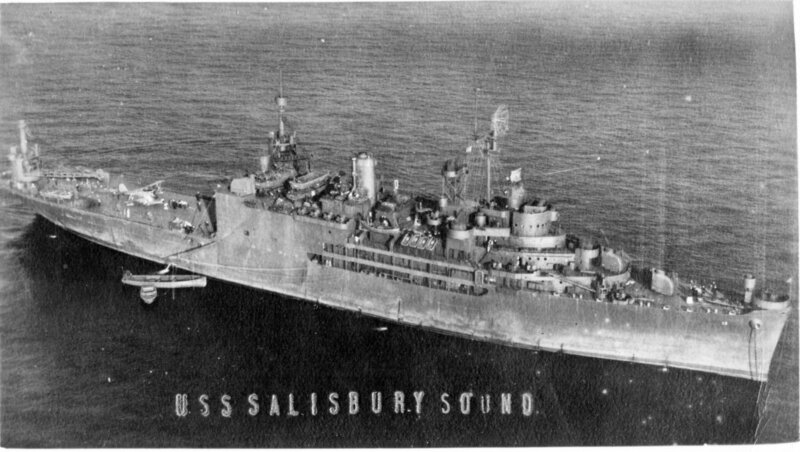 Salisbury Sound was serving with the Seventh Fleet during this time and the P5M planes patrolled thousands of square miles per day. 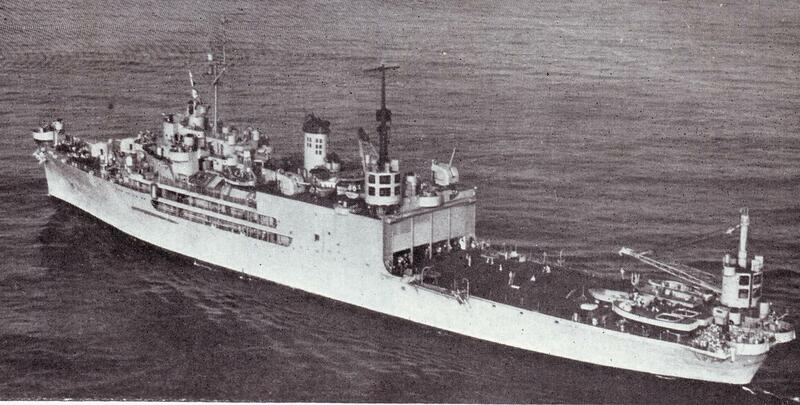 42k USS Salisbury Sound (AV-13) at anchor, location unknown, circa 1960s. 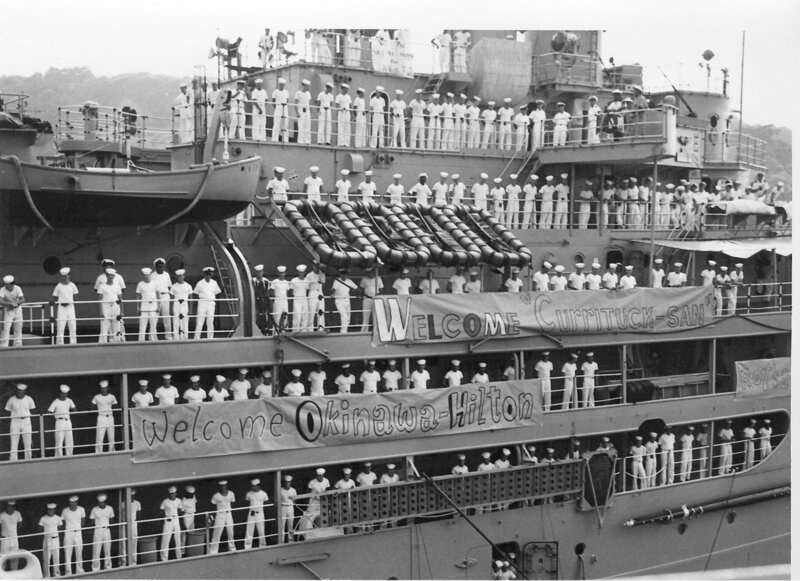 271k USS Salisbury Sound (AV-13) crew welcoming USS Currituck (AV-7) and her crew to Okinawa, January 1961. USS Salisbury Sound handed over duties as tender for forward deployed VP squadrons to USS Currituck. 165k USS Salisbury Sound (AV-13), right being relieved by USS Currituck (AV-7) at Okinawa, January 1961. 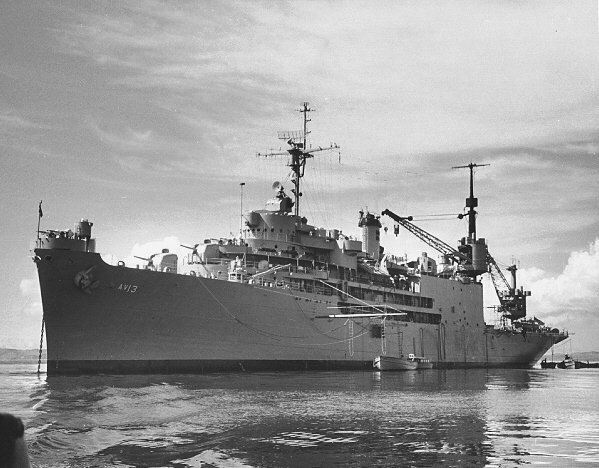 56k USS Salisbury Sound (AV-13) at anchor in San Diego Bay, date unknown. Note the "trailer hitch" at the stern of the ship which was use to attach a float support system for the beaching gear for the canceled R3Y "Trade Wind." 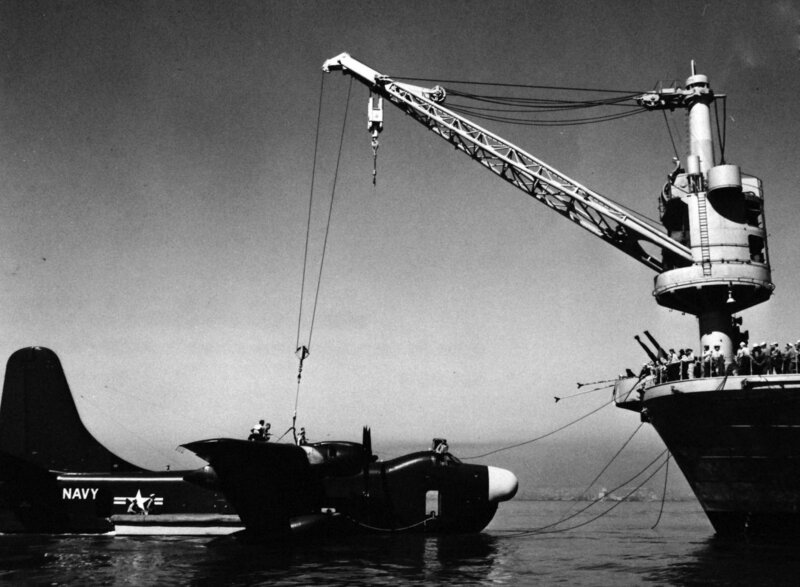 The float system was tethered together into an "L" shape to form a floating dock for crews to move easily from plane to ship and back thus, saving transient time to and from the seaplane anchorage. 31k USS Salisbury Sound (AV-13) underway, date and location unknown. 22k USS Salisbury Sound (AV-13) at anchor, date and location unknown. 324k USS Salisbury Sound (AV-13) under way, date and location unknown. 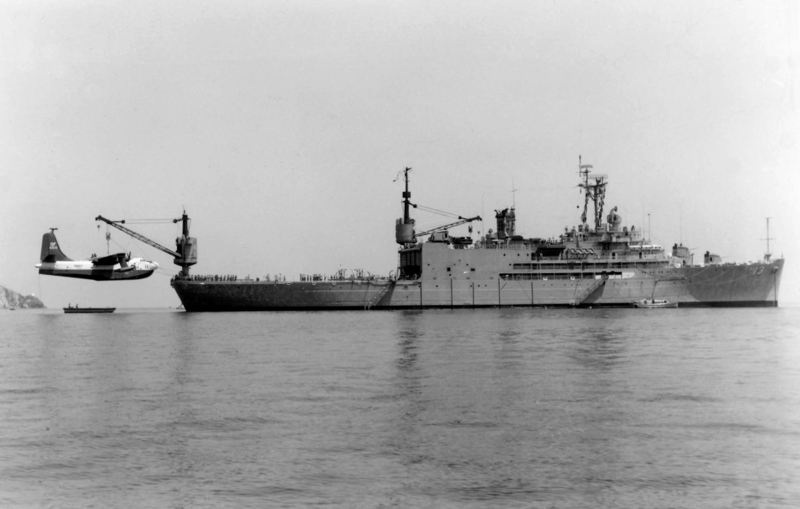 64k USS Salisbury Sound (AV-13) at anchor in Camranh Bay, South Vietnam, with a Martin P-5 Marlin patrol plane on deck. Note 5"/38 gun mounts atop aircraft hangar. 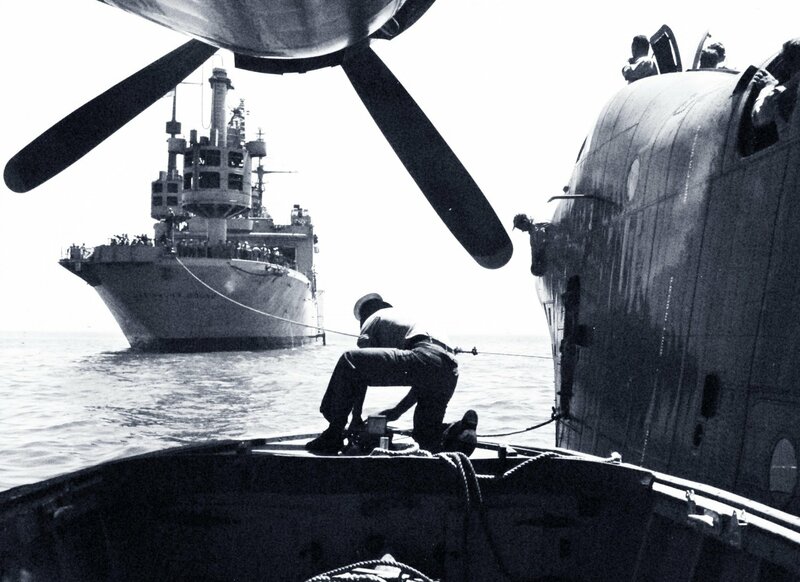 117k A P5M �Marlin� is off-loaded from the fantail of USS Salisbury Sound (AV-13) in Cam Rhan Bay, Vietnam, date unknown.